“This is an act of ethnic cleansing, if you will, almost genocide,” a U.S. military official warned. He was referring to bombings that killed nearly800 members of the minority Yazidi sect in northern Iraq. “Among the wounded, one in five suffered serious injuries,” while “families of the wounded were so shaken by the attack that they insisted on taking their badly broken relatives back to their villages,” away from the hospitals treating them, the New York Times reported. U.S. officials attributedthis atrocity to al-Qaeda. Surely it called for a calibrated intervention—a series of airstrikes, perhaps, to prevent a potential slaughter. U.S. policy outcomes thus indicate Washington’s contempt for Iraq’s religious minorities. On the other hand, Obama stressed on August 7 that humanitarian concerns drove him to commence airstrikes—and these words were enough to convince the press that the U.S. government cares about persecuted Iraqis. “There have been reports of scores of civilians being killed,” the New York Times wrote, so “it was not surprising to hear President Obama announce” his decision to intervene. “President Obama was right to order military action to prevent a potential genocide,” the Washington Post decided, while the Los Angeles Timeshad no “doubt that the president was moved by the suffering the Islamic State has inflicted on the Yazidis and other victims.” Coverage was even more credulous, if possible, on websites like Slate, where William Saletan simply transcribed Obama’s remarks. 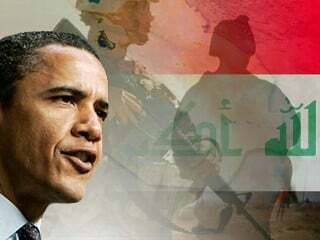 “We’re doing what only we can do” in Iraq, Saletan insisted on August 8. He knew this because “Obama said the U.S. should step in,” given its unparalleled “capabilities to help avert a massacre.” Confronted with an argument this powerful, even a skilled debater will wither in defeat. U.S. efforts to “liberate” Fallujah’s residents—presumably from life’s mortal coil—entailed “a cascade of Geneva Convention violations,”according to scholars Elaine A. Hills and Dahlia S. Wasfi. Not least of these, U.S. Congressman Jim McDermott and Dr. Richard Rapport wrote, were “the targeting of medical facilities and denial of clean water [. ]” The level of barbarism calls to mind what the UN described as Israel’s “unprecedented” destruction of Gaza. “Whole neighborhoods and villages have been wiped off the map,” Dr. Mona El-Farra reported from the Strip, where Beit Hanoun’s mayor, Mohammed al-Kafarna, told the Guardian his town had been pummeled to the point of being “unlivable.” Israel’s six-week bombing monsoon has killed over 2,000, with U.S. taxpayers funding the carnage.